Kanye West reportedly has strict style rules for his pregnant wife Kim Kardashian. The 38-year-old Yeezus rapper and his 34-year-old reality star spouse announced they were expecting a second child earlier this month. Kim has recently revealed she’s been suffering from severe morning sickness during this pregnancy. 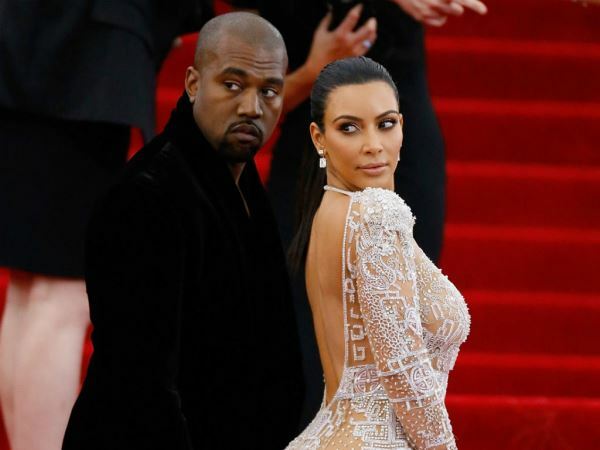 But even though the Keeping Up with the Kardashians may be experiencing extreme discomfort, her other half Kanye supposedly won’t let his other half leave the house without looking picture perfect. "Kanye would never allow Kim to wear sneakers, stretch pants and a loose blouse," an insider told Life & Style magazine. "His rules include high-end couture designers, always formfitting. And high heels are a must." While Kim was pregnant with the couple’s daughter North, who turns two years old on June 15, she infamously donned a pair of high heels while her feet were excessively swollen. Her feet were so constricted in those shoes, the star’s skin protruded out of the footwear in a manner that appeared painful and uncomfortable. And it’s claimed although Kim never wants to experience something like this again, the stunning brunette is willing to do whatever she has to in order for Kanye to be pleased. "If there's one photo Kim can't stand of herself, it's the one of her feet stuffed into those plastic sandals. She did that for Kanye, but she really hates the thought of doing that again,” the source said, noting Kanye is telling Kim to laugh off any negative comments made about her pregnancy style. "Kanye says all the negative comments are just haters who are jealous of his and Kim's fame. Kim isn't sure of that. But she'll do anything for her man." On Thursday Kim announced she’ll be offering free hair and makeup tutorials to fans who’d like to imitate her style.